Place a large non-stick skillet over medium-high heat. Add the chicken and break it apart with a spoon. Add the salt and pepper. Cook for 8 to 10 minutes, until chicken is cooked through. Stir occasionally and break down the chicken into small chunks. Reduce the heat to low. Add the garlic to the chicken. Cook 1 minute stirring often. Add the pasta sauce. Cook 3 minutes, stirring occasionally. As the chicken cooks, cut the zucchini in half, lengthwise. 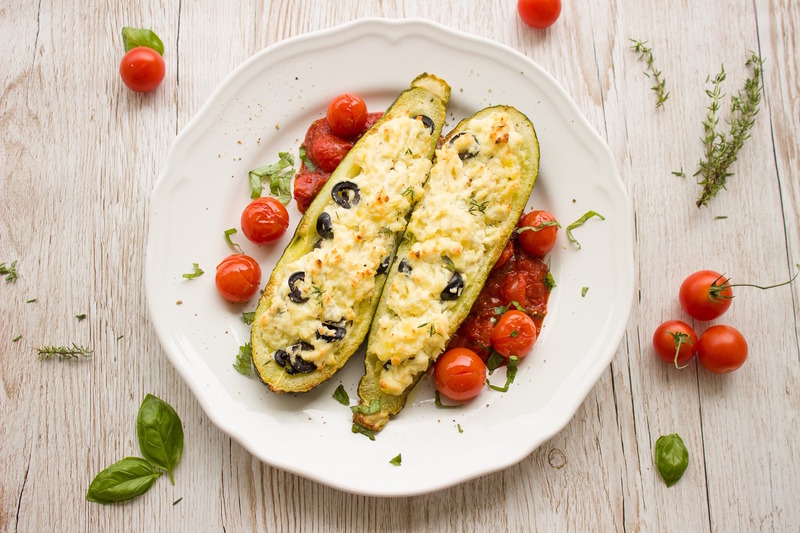 Use a spoon to scoop the seeds and center out of each zucchini half, leaving a ¼ inch thick zucchini boat. Spoon the chicken mixture into the zucchini boats. Press the mixture down into the zucchini using the back of the spoon.